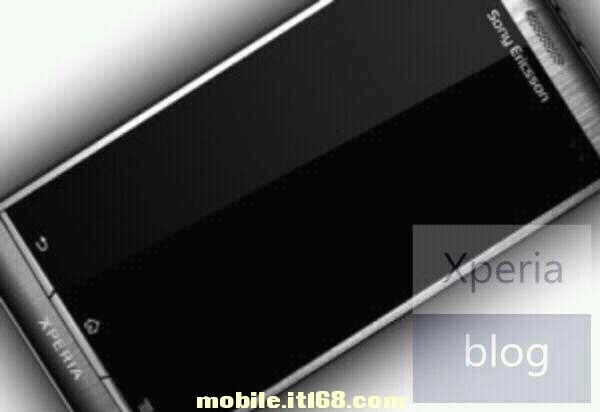 The Sony Ericsson Nozomi LT26i monster has been rumored for a while to feature a dual-core 1.5GHz processor, 4.3" 720p display, and 12MP camera. The camera part is allegedly coming one step closer to reality, as EXIF data from a shot that is supposedly taken with the SE Nozomi leaked. The picture info shows 4000:2250 resolution, which is 9MP in 16:9 format, the way Nokia N8's 9MP mode works, whereas the regular 4:3 format utilizes fully the 12MP of its camera. The phone is apparently to have a f/2.4 aperture, like the iPhone 4S, improving its low-light capabilities on paper. Another interesting bit leaked in the form of a murky picture showing what seems to be a metal chassis for an Xperia line phone. It seems pretty unconvincing that this will be the Nozomi, though. The initial source of the picture appears to be the Xperia Blog, which received a cease and desist letter from Sony Ericsson last week, so make of this what you will. Moreover, the navigational buttons underneath the display are in the old Xperia style of thin buttons, whereas in the latest phones of the series we have a huge semi-circular button as home key in the middle. Android Ice Cream Sandwich with its virtual buttons credo might have changed the design paradigm at some point, though. Smartphone camera cannot and never replace stand alone camera no matter how high megapixel is because people replace smartphone every 2 years. I don't think that is the intent. The intention is to provide a camera with satisfactory picture quality so that carrying two devices is not necessary to be prepared to capture impromptu shots. I take the majority of my pictures with my smartphone now, even though I have two high-end cameras. It is just too bulky to have both in your pocket not to mention you don't always think of when to bring your camera or leave it at home half the time. Unless you are taking shots that require zoom or you really want to look a certain way, your cell phone is fine. Especially now that they are bringing updated changes to the aperture. Also, in this case SE usually uses Carl Zeiss lens for its cameras, which are a very high quality lens. The same one that was used in the Nokia N8. Ok seriously...who really needs a D-SLR camera? Those things especially are bulky. I don't see the real point in those unless you are an avid photographer or you like to print them out and post them in some big frame. I was speaking about day to day I use my smartphone to take pictures. And if the camera is anything like the one on the N8, then I don't see why it wouldn't be as good as having a $150 camera. Yeah, it won't ever be as high end but it still will be adequate to have the pictures you want. Again, I have said it won't have the same type of optical zoom as a regular camera but it will be adequate enough. Why don't you actually go look at sample photos taken by the N8? ACTUALLY...I have found an article that compares the camera on the N8 to a Canon 550D D-SLR. http://thehandheldblog.com/2010/10/04/shootout-nokia-n8-v-canon-550d-dslr/ If you look at some of the pictures you can't even tell the difference. And the ones that have a difference, it isn't that bad. I mean of course the 550D is going to have better shots but looking at this, it's not that much better. The reason smart phone cameras cannot replace a stand alone camera, namely point and shoots.. is due to SENSOR SIZE. The reason the quality doesn't compare is because the camera sensors are SOOOO small on cell phones, they just cannot perform like point and shoot cameras.. and certainly not like DSLRS, which have sensors that absolutely HUGE compared to phone camera sensors. It has nothing to do with how often you upgrade your phone. FYI.. high megapixels in camera phones just makes the quality problem worse. The trouble is that consumers are uneducated and want big numbers.. 12MP camera MUST be better.. right?!?! NO! I have a non smartphone with an awesome camera that I still use, the SE C905. well.. i am not a fanboy.. but one correction. the f/2.4 aperture of iPhone 4S was like Xperia ARC. and which they kept constant. Um, how about commenting the elephant in the room.. the awesomeness of this phone, that is!!?! You noticed it has a killer specs? Absolutely superior to any other phone that is announced for release in the near future? A killer looks? This phone will be a masterpiece. I hope it comes with a front facing camera this time. 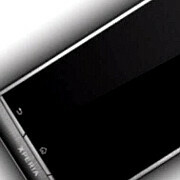 I currently bought an Xperia Arc S, and the front facing is something a missed. Also the processor of the arc s isn't strong enough, so it lag's sometimes. Besides that SE builds great phones, with good look's and good specs. The camera on the Arc S really is superb, my Ipod touch (latest edition) isn't anywere near the quality of the SE. The screen is really good, and it is a very user friendly phone. Can't wait for nozomi to arrive in europe!